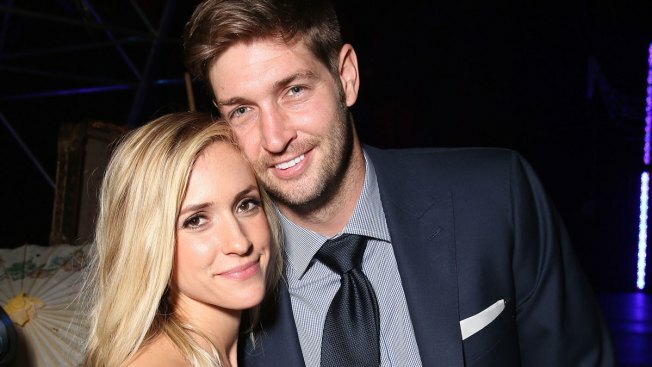 Kristin Cavallari shared an image of her daughter with husband Chicago Bears quarterback Jay Cutler on social media. "Really sad about missing my 10 year high school reunion last night...so many people I wanted to see...but at least I have a good excuse," Cavallari wrote on Instagram. Their new baby girl joined brothers Camden Jack Cutler, 3, and Jaxon Wyatt Cutler, 1. Cavallari revealed in an interview ahead of her daughter's birth that she planned on naming her after a dog. The 28-year-old has also said her children have had a positive effect on her. "It's hard to believe I will be a mom of 3 in just a few short weeks," she captioned a photo of her baby bump. "I owe so much to my babies...They have changed me in so many ways for the better." Earlier this month, Cavallari also told American Baby magazine she’s excited to see how her little girl fits in with the family. "She's going to steal Jay's heart, which will in turn melt mine!" Cavallari said. "I'm excited for the boys to grow up with a sister. I think it will help them to better understand and respect women."